For my dearest friend and I, life is anything but boring. On more than one occasion there has been ample reason to see it as just a bit surreal, and sometimes, if it is real quiet, the theme from the Twilight Zone can be faintly heard as background music. As an example, for your consideration, I present this morning. Our son stopped by for coffee and some eggs, and we offered hagelslag, courtesy of friends from the Netherlands, and toast with Nutella. Then to round out the breakfast we shared Badenoblaten mif Russ Schokoladegeschmack, courtesy of friends from the Czech Republic. It seemed an ideal way to close out a week that included email from Croatia, a presentation before the city council about harnessing the international interest in Route 66 as a catalyst for development, and coffee with the irrepressible Bob Lile and an acquaintance from New Zealand. It also sets the stage for a busy schedule in the coming week. In addition to the ongoing battle against frustration that now dominates my dealings with Create Space, isthe self publishing venue for Amazon.com, there is a meeting scheduled with a Swiss property developer, ongoing negotiations with my publisher that is now a British owned entity, and a pending meeting with a travel journalist facilitated by the local tourism director. Also on the schedule is a couple of meetings that pertain to the 2016 Best of the West on 66 Festival, the need to add some polish to the Miles of Possibilities presentation, finalization of the travel schedule for the trip to that conference and festival in Illinois, assistance in the development of promotional materials for Ramada Kingman, and a development outline for the Celebrate 90 initiative for the Route 66 Association of Kingman. If, by chance, I get bored, Barney the Wonder truck is need of a power steering pump. Presentations and public speaking are not exactly something I have a great deal of experience with. Granted, the skills are improving by the week but an awareness of my shortcomings leaves me a bit apprehensive, especially when an event is as important or as large as the pending Miles of Possibilities Conference in Edwardsville, Illinois. My presentation centers on how towns can utilize the Roue 66 renaissance to develop a sense of community purpose which in turn leads to economic development. For obvious reasons I will use Kingman to illustrate my points. I will add some polish this week and worry over it like a dog with a bone. That is a quirk I have come to accept as it accompanies the closure of all my published work. The event in Edwardsville got off to a rocky start and at one point there was even a question about it taking place at all. In part this was resultant of the fact that the Route 66 community is still lacking a chamber of commerce type entity, a representative organization that can provide assistance with the development and promotion of events such as an annual convention. That is changing, slowly but surely. After a serious of public town hall meetings this summer, the National Park Service facilitated Route 66: The Road Ahead Initiative that evolved from the steering committee is moving closer to bringing that envisioned organization to fruition. In 1931, the U.S. Highway 66 Association hosted a convention in Elk City, Oklahoma that purportedly attracted 20,000 attendees. 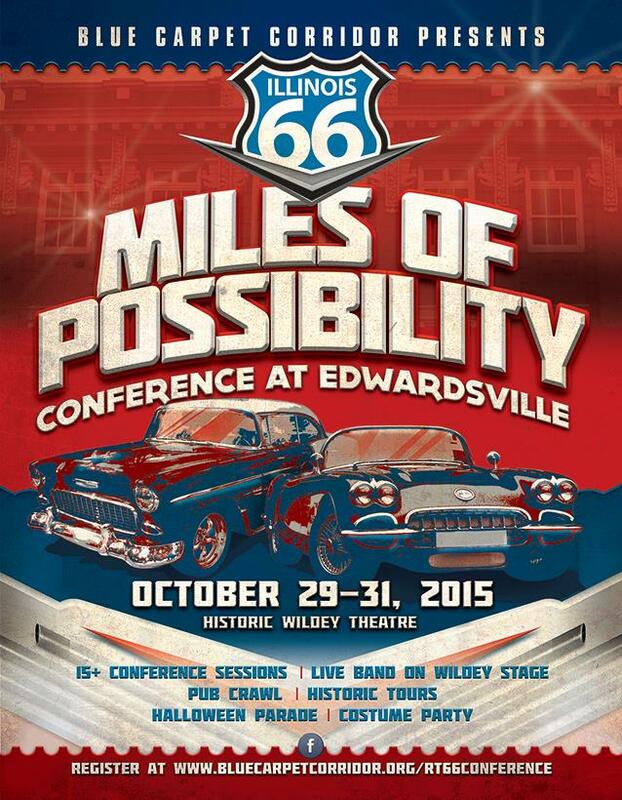 The conference and festival in Edwardsville will mimic that event in that it blends the business of Route 66 with education and the Route 66 related fun that is the hallmark of such gatherings of Route 66 enthusiasts. I spoke with an event coordinator a few days ago and the recommendation was made that people who plan on attending the conference or related events make reservations or purchase tickets soon. In addition to the conference, there will be a pub crawl, an historic annual parade, a performance by the Road Crew, and a catered dinner among other activities. A bit closer to home, the Celebrate 90 initiative linked with the 160-Miles of Smiles marketing campaign is gaining steam. 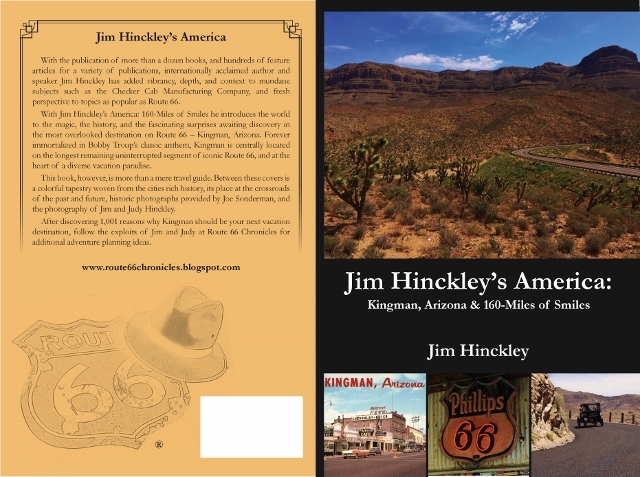 This is being spearheaded by the Route 66 Association of Kingman. If you happen to in the neighborhood of Ramada Kingman this Saturday evening, the associations monthly open house will take place at 6:00. It will also be a small informal birthday party for association president Scott Dunton. I would be quite remiss if the wide array of activities scheduled for this weekend were not mentioned. Kingman is definitely the place to be. Late on Friday afternoon at the Powerhouse Visitor Center, there will be a free car show and a reception for the participants of the 2nd Annual National Route 66 Motor Tour. These festivities will be linked to an informal anniversary celebration for the Route 66 Electric Vehicle Museum. For more information contact the Kingman Area Tourism office. On Saturday, there is a cruise to Grand Canyon Caverns, the 2nd Annual Rattler Mountain Bike Event, and a bluegrass festival at Stetson Winery. That evening is the last Chillin’ on Beal of the season, and Cinema Under the Stars on the corner of Fourth Street and Andy Devine Avenue at 8:00 PM. Bring your chairs and enjoy a classic motion picture courtesy of the Route 66 Association of Kingman. If you plan on taking in all of the activities, you might as well make it a weekend. 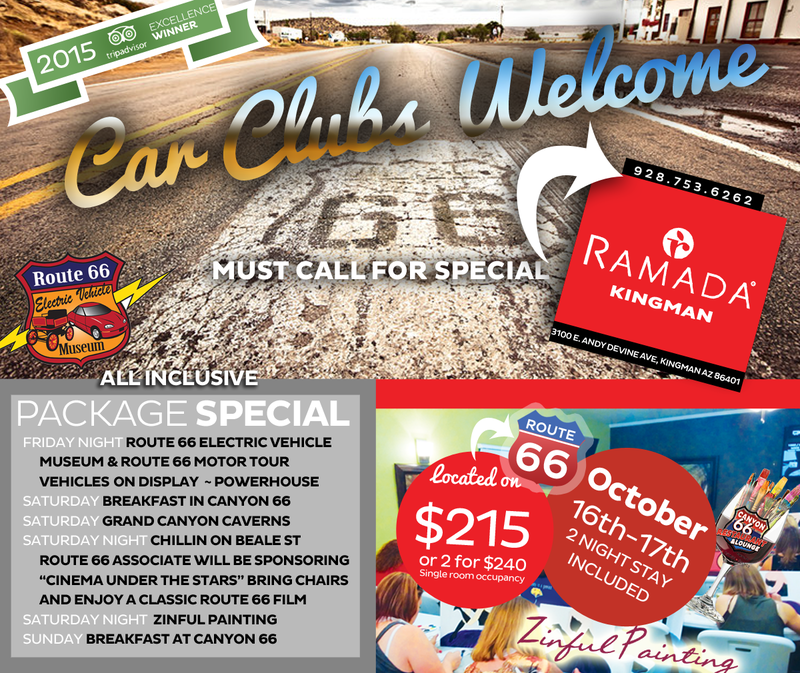 And if you plan on making it a weekend, you might want to take advantage of the special package being offered by Ramada Kingman. To wrap this up today, here is a list of our scheduled stops on the trip scheduled for October 25 to November 6. If you would like a book autographed, or would like to retain my services for a group or organization function, please let me know.